A craft workshop and social group for older people has received £3,000 from Evening Hill Grassroots Grants and the Holehird Trust. 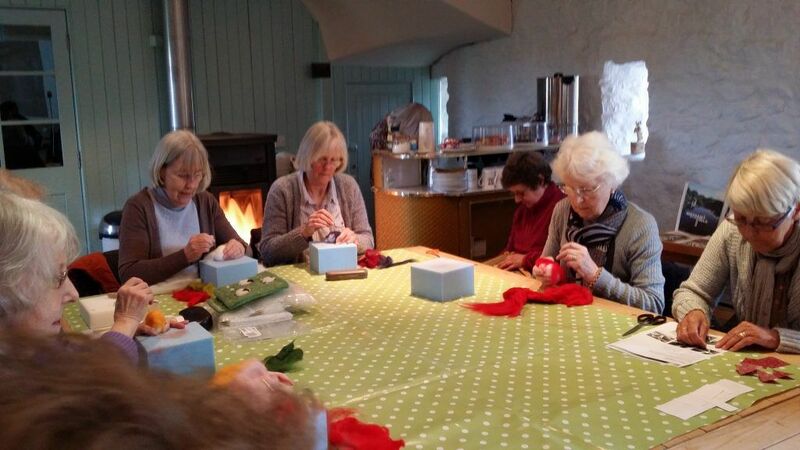 The ‘crafternoons’ held at Heron Corn Mill, in Beetham, are designed to help people meet up and enjoy crafts such as crochet, felting and patchwork, to exchange ideas or simply to have a chat and a cup of tea. The sessions are led by Kelly Ollernshaw, a disabled artist and founder of ‘Cotton On’ – a popular arts and crafts group based in Morecambe. The people who attend the workshops live in surrounding rural villages where there is limited public transport. Many face loneliness and social isolation as they struggle to travel far from their home to meet others in a social situation. The ‘crafternoons’ provide an opportunity to get out the house, learn new skills and make new friends. The sessions are socially inclusive and encourage peer-to-peer support within the group alongside the leader’s tuition. Audrey Steeley, Creative Projects Manager at Heron Corn Mill, said: “The ‘crafternoons’ have been amazing and have far exceeded our expectations. We almost always have a full room of around 30 people and participants look forward to coming and trying new things. “Elements of peer teaching are already evident and genuine friendships have been formed through the common interest in crafts.